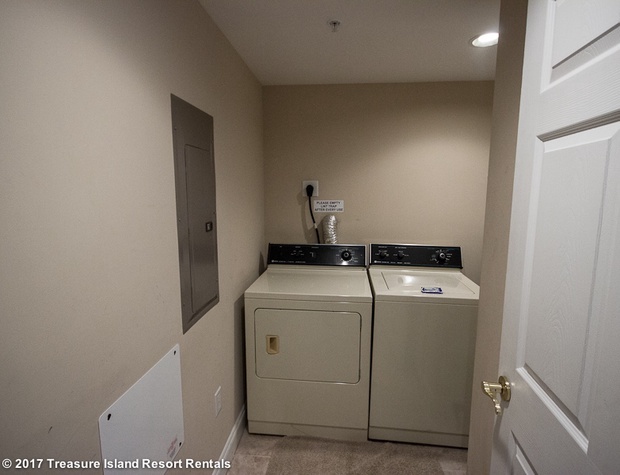 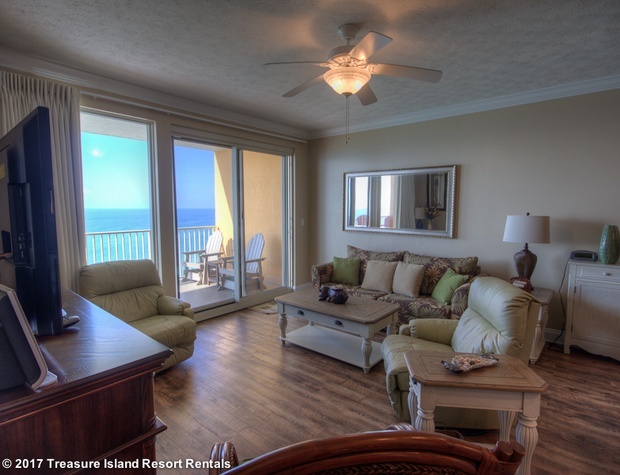 This luxurious condo is sure to make you feel at home with the cozy electric fireplace. 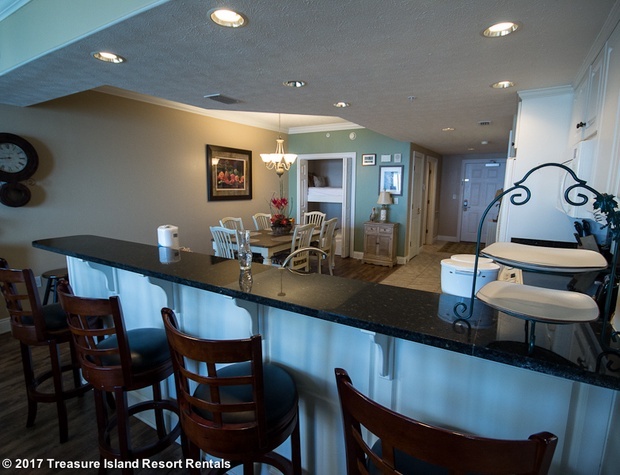 It is furnished with the pleasant seating that makes you sink into comfort. 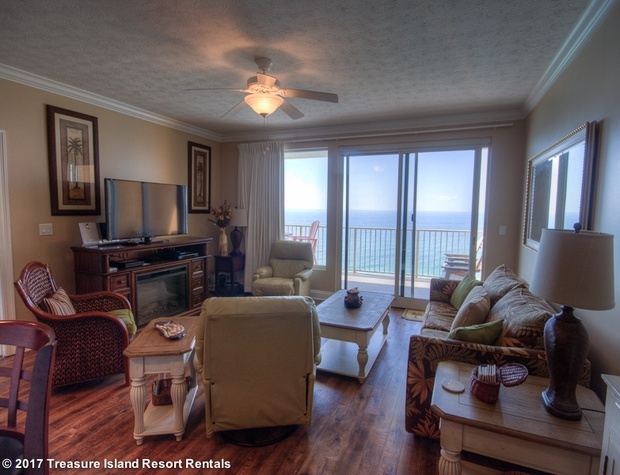 This unit has all flat screen televisions and tile flooring made to look like wood in the living room area. 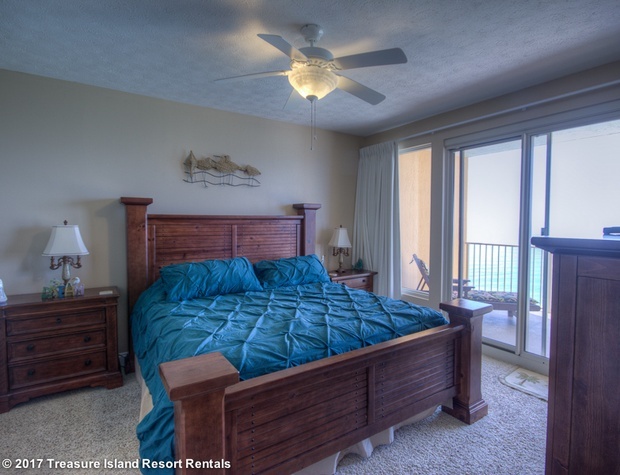 The couch has a sleeper sofa for guests.The master bedroom is equipped with a king size bed and carpet. 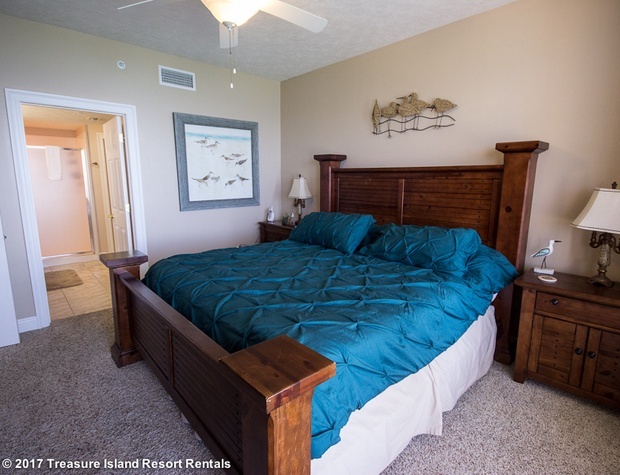 The guest bedroom has a queen size bed with carpet as well. 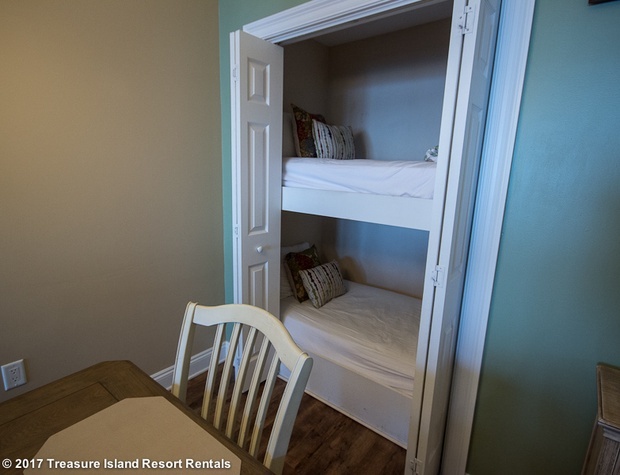 There are twin size bunk beds in the dining area that can be hidden behind closet doors. 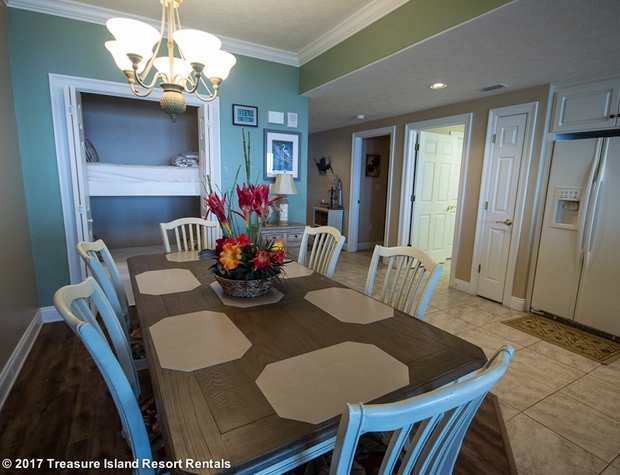 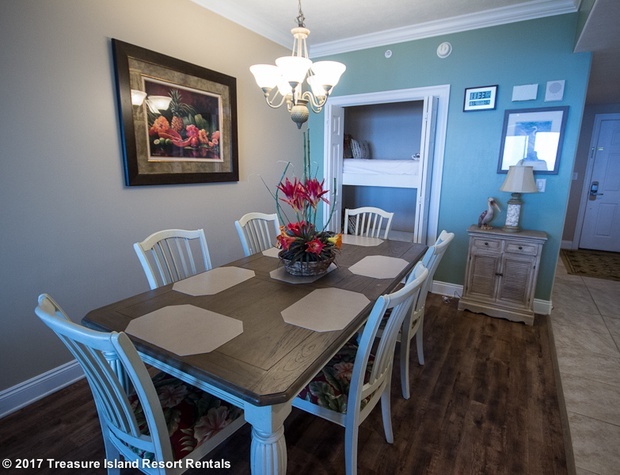 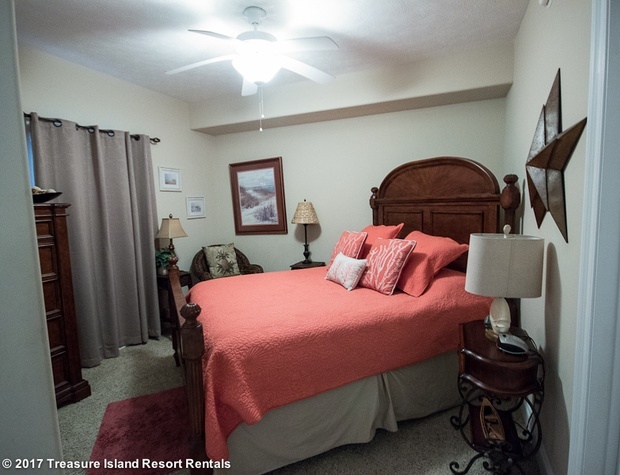 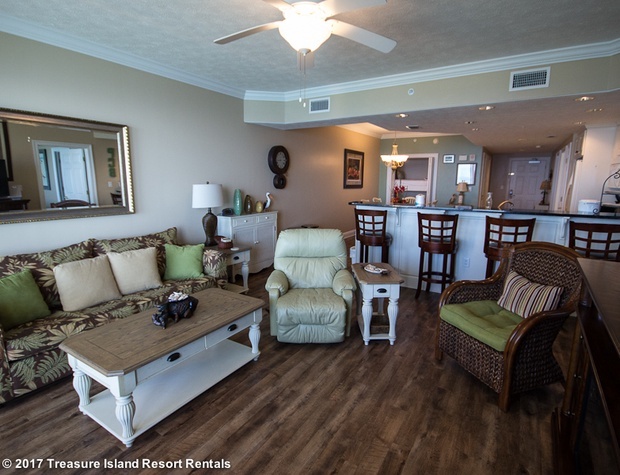 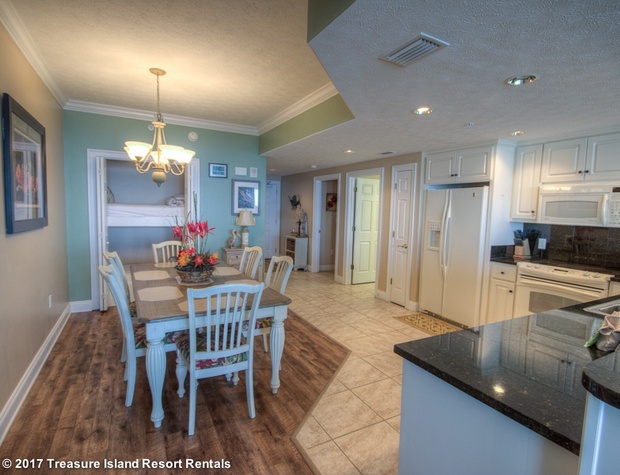 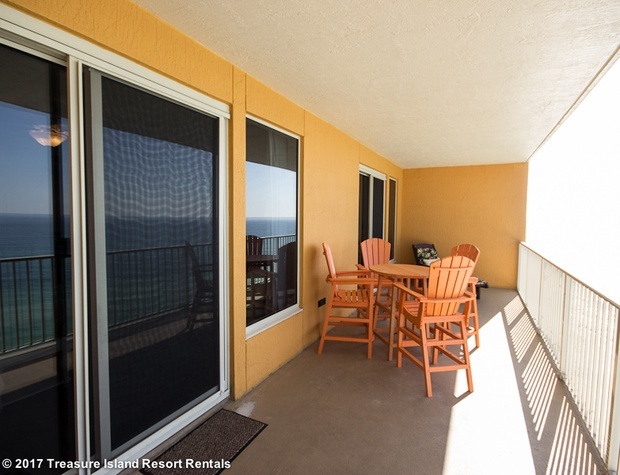 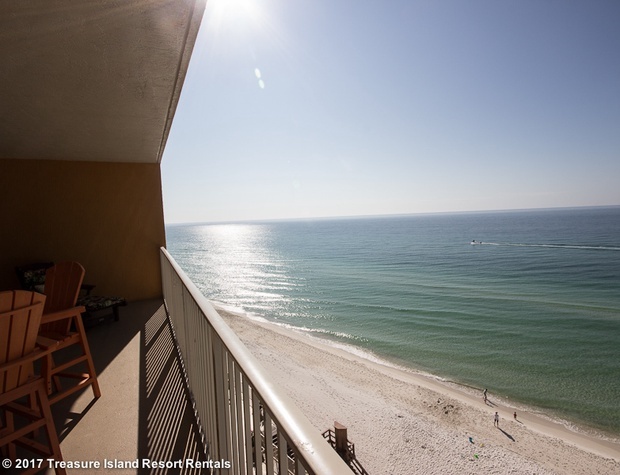 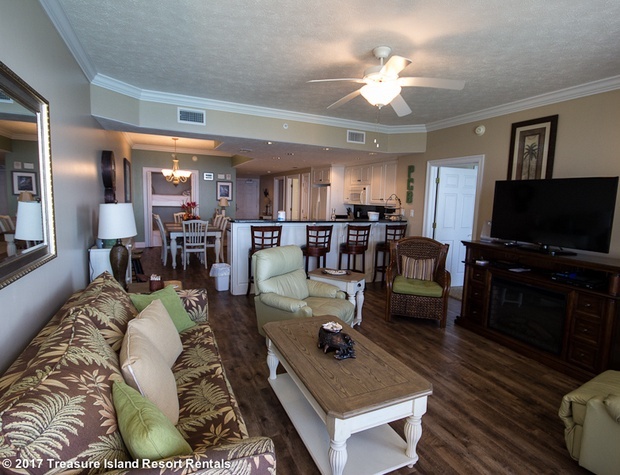 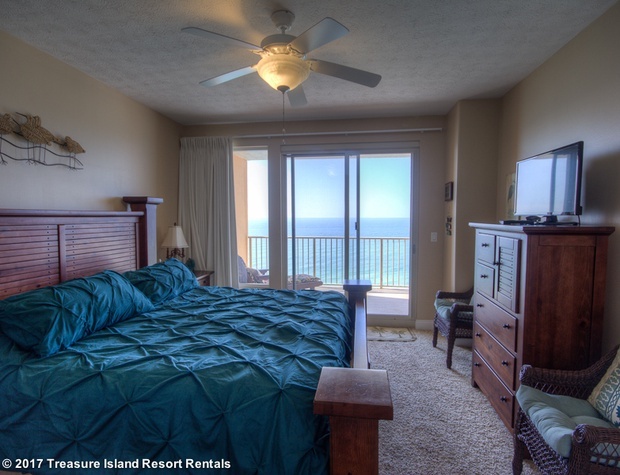 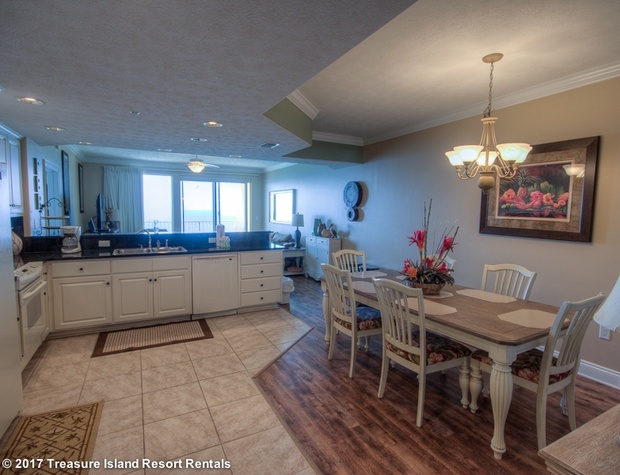 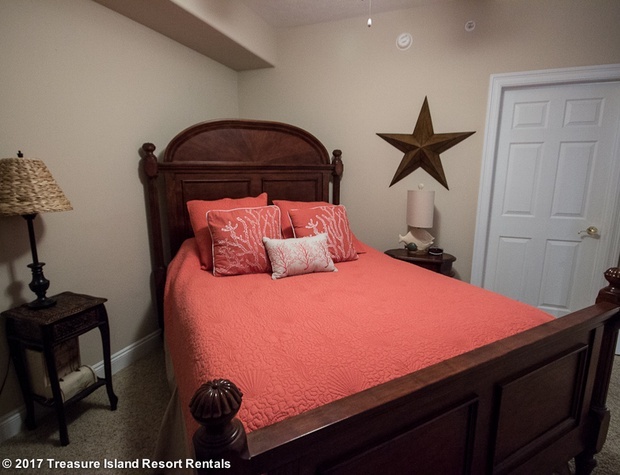 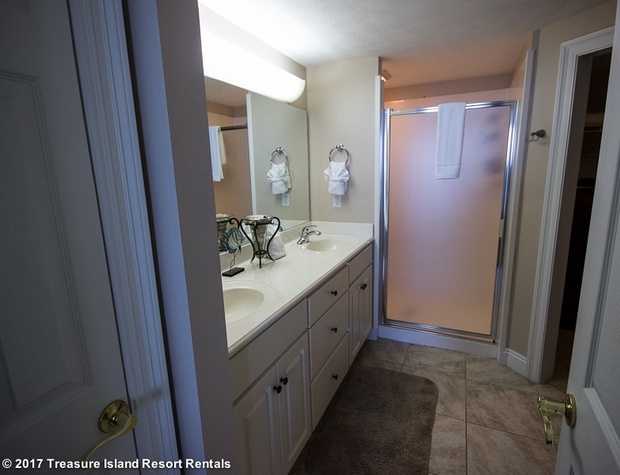 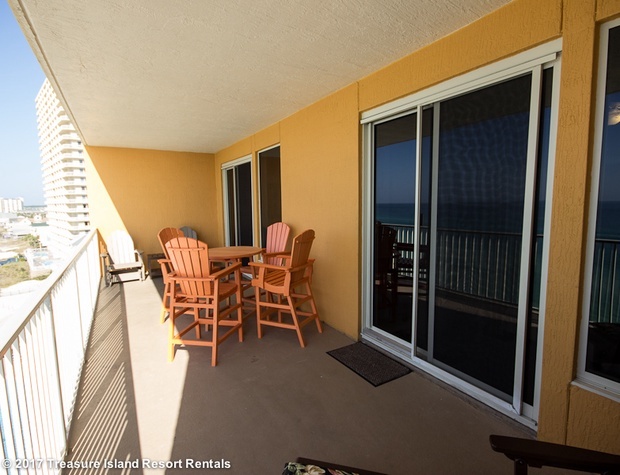 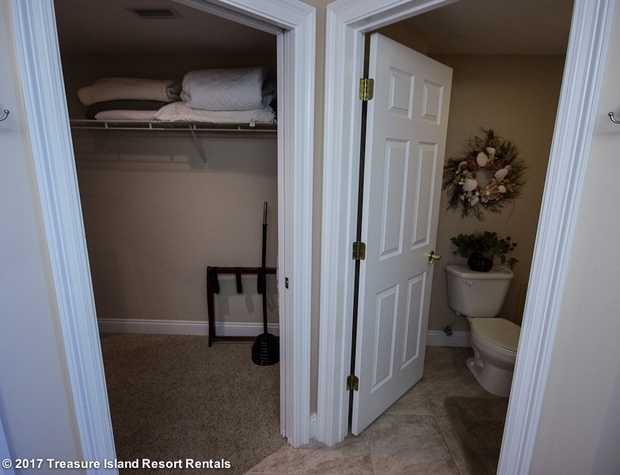 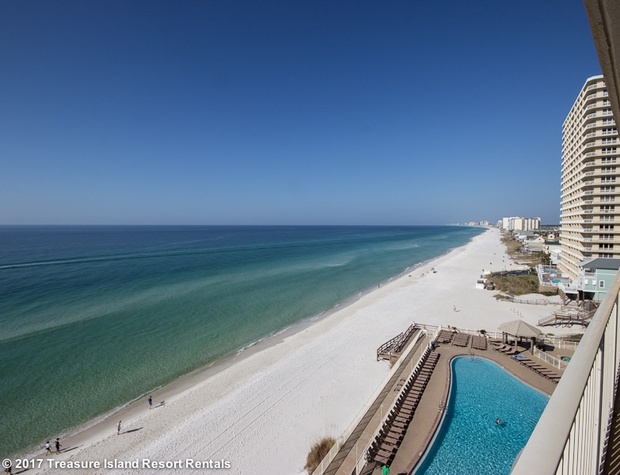 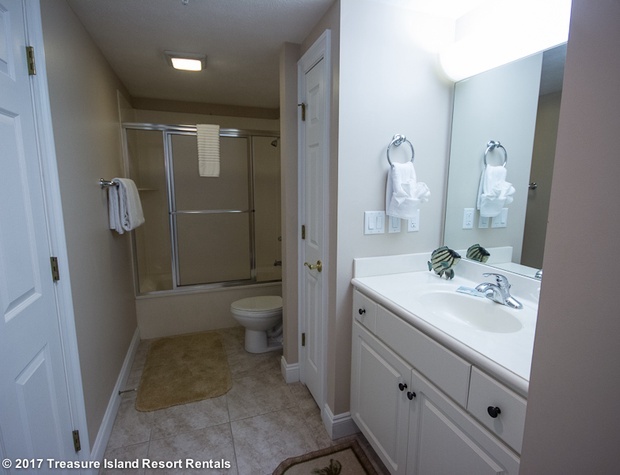 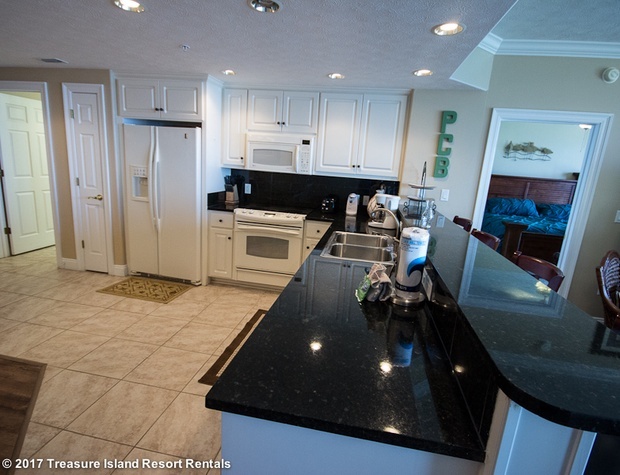 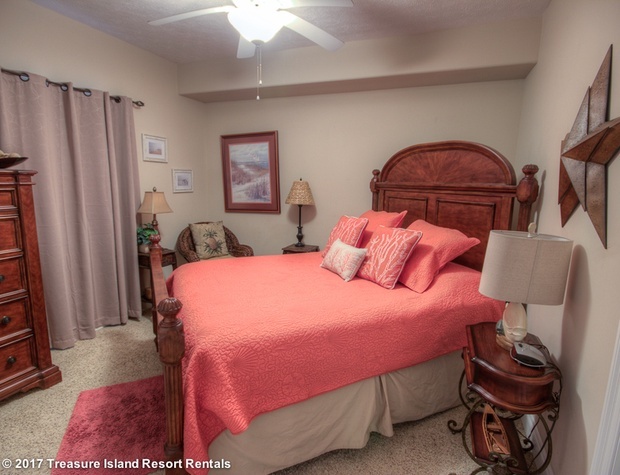 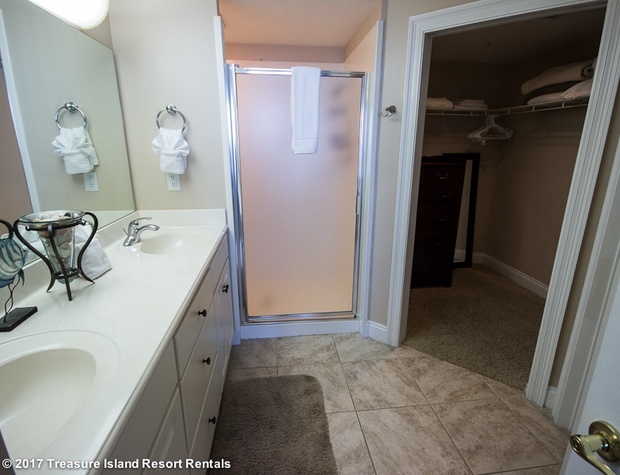 The patio is furnished with plenty of seating for the friends and family and to give you the relaxation of the sound of the waves coming on shore of the gulf.